Ciphone 5 is a smart phone that will be released by the Ciphone manufacturer, supposedly on Mar 15, 2009. It is based on Windows Mobile system instead of the most popular MTK platform. Ciphone 5 is running on Windows Mobile 6.1 operating system, with a 3.2 inch, 240 x 320 pixel display, a 450 MHz 2443C processor and 128 MB RAM / 256 MB ROM. 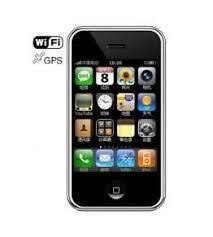 This phone supports EDGE, Wifi and GPS navigation. Video Player: support 3GP, MP4, ASF, AVI, RM, WMV full screen play.